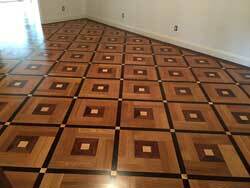 With Czar Floors’ custom designs, you are not limited to the pattern or species combinations shown on this site. Send a sketch, photograph or written description of your design, and our master craftsmen will complete it to your specifications. A computerized manufacturing process allows us to recreate the most complex ideas. 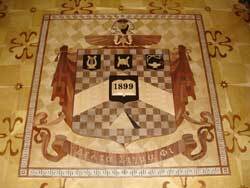 Corporate logos and family crests are a few examples of what we can accomplish. For one, color. The Celtics’ green isn’t just any green. The customer demanded nothing but the truest of Irish greens for the finished product. 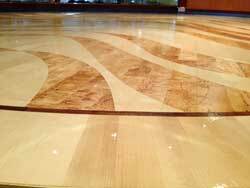 This required Czar Floors to seek the help of a custom stain shop to develop the green, which took multiple iterations to get just right. The stain also had to soak into the wood deep enough so that the color stayed on-hue through post-installation sanding. 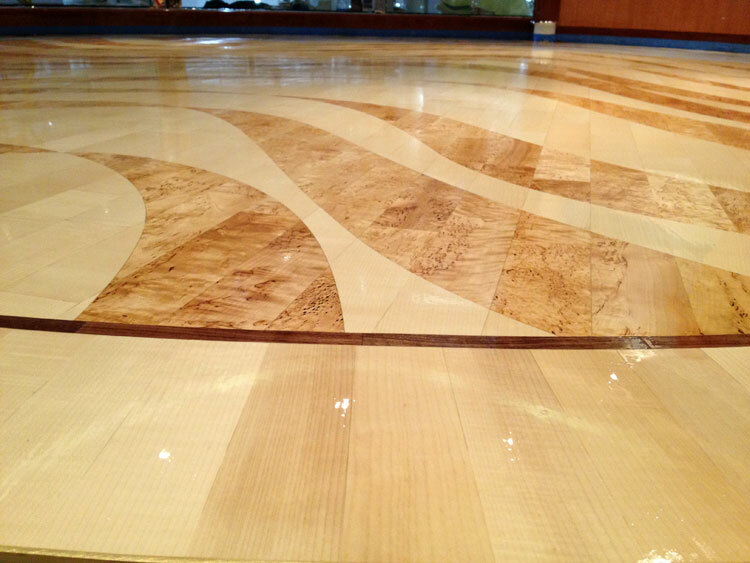 The magic depth was a quarter of an inch, achieved with a long period of stain saturation and heat treatment. The second issue was caused by Lucky the Leprechaun. Lucky’s walking stick, shoes, basketball and part of his bowler hat extend outside the medallion circle. 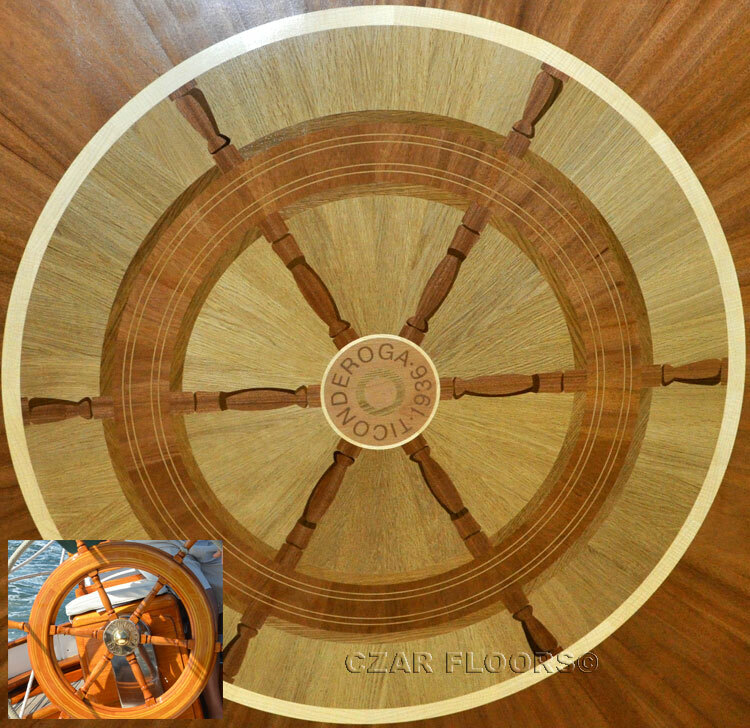 After a couple weeks of testing stain chemistry and planning the design, Czar Floors installed the medallion in the Massachusetts home. 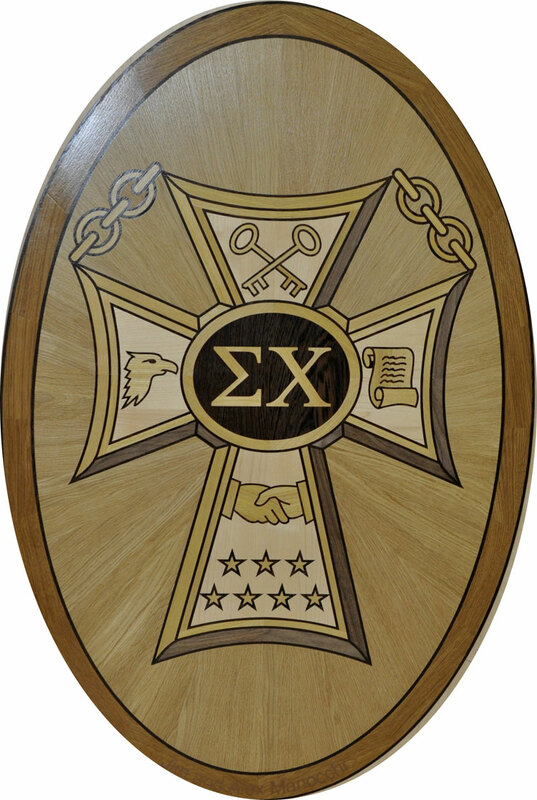 The final medallion uses maple, wenge, oak impregnated with the custom green stain, walnut and ash. 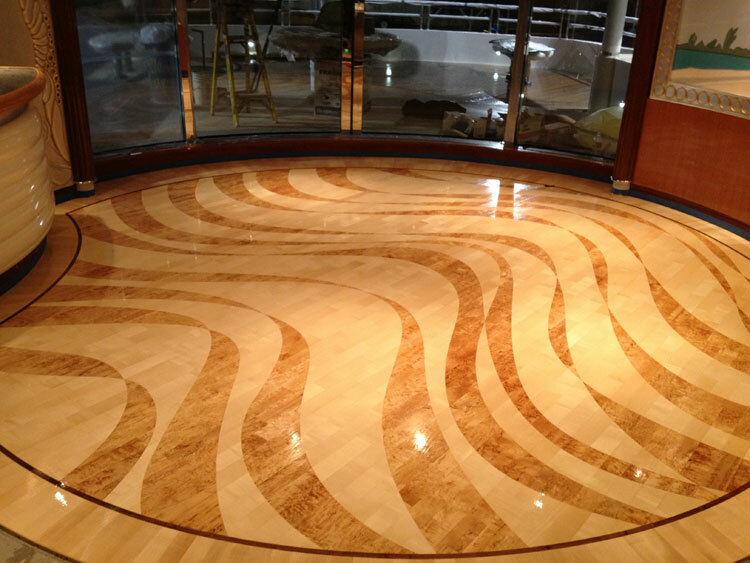 Czar Floors developed unique on-line application "Floor Designer" to design and estimate custom floors for the whole room. 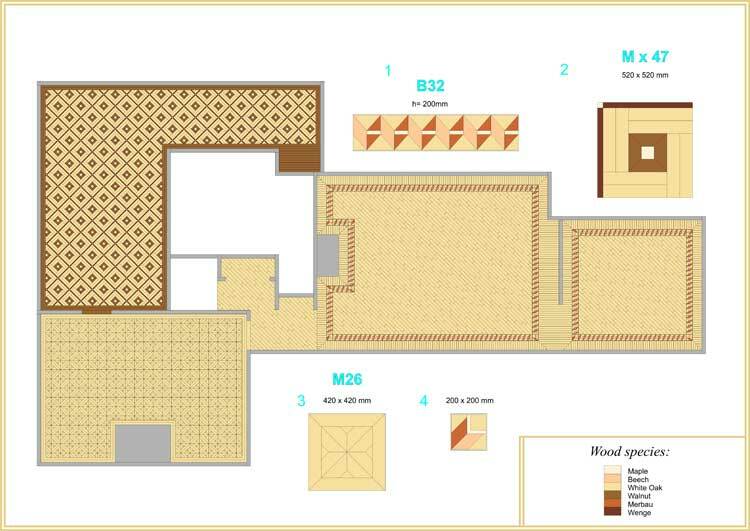 You can set room dimensions, add parquet, medallion and borders. Application allows to estimate the cost of the project and share the floor plan via e-mail. 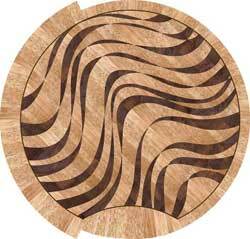 A wide variety of domestic and imported wood species may be used - check all available woods. 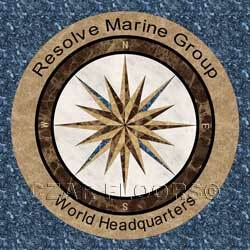 For waterjet custom medallions and borders, - check available stones. If you have an idea - we can make it. Start by sending us a drawing or image. If you are customizing an existing product - print the image from "Large View" link and mark your changes. Mark the areas where you wish to replace the material. Provide as much detail as you can. You may scan your sketch and send it as an email attachment or by FAX. Please mark any special requirements, including size, thickness, finish, etc. Our professional designers will evaluate your idea and will provide you with a price estimate, lead-time and other recommendations. You can familiarize yourself with some of the process and terminology by reading our Guide. 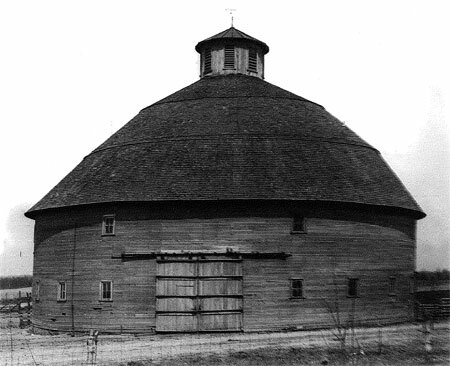 Another customer sent a photograph of an iconic barn from his birthplace. 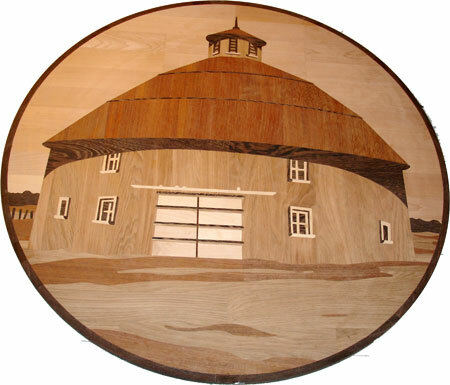 He wanted to have a wood inlay of the barn to capture his childhood memories. 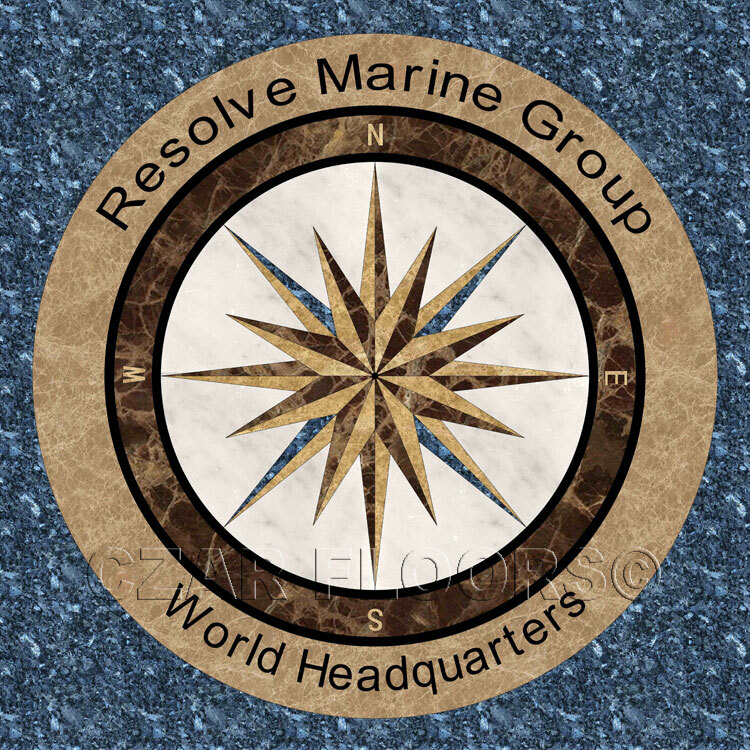 Our designers worked with the customer and prepared several versions of the wood inlay with a map of the wood placement. 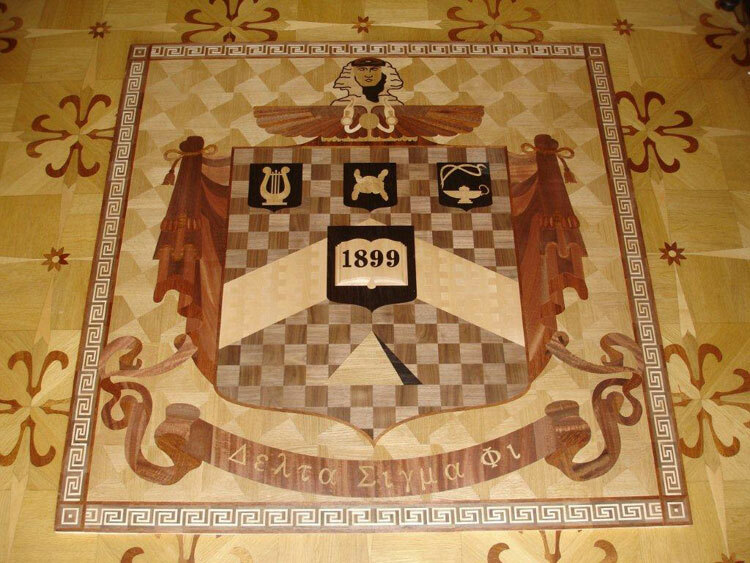 The hardwood medallion had to be done in the coordination with the surrounding hardwood floor. 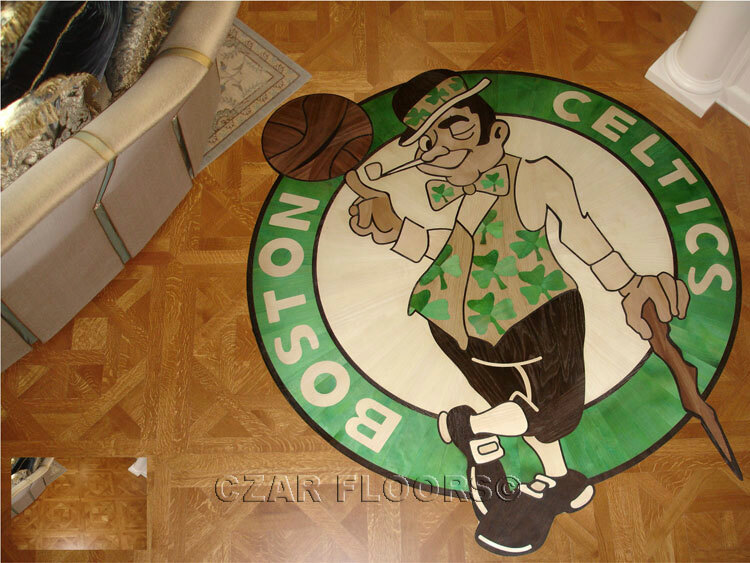 After several revisions the design was approved by the customer and Czar Floors faithfully recreated the customer's photograph. 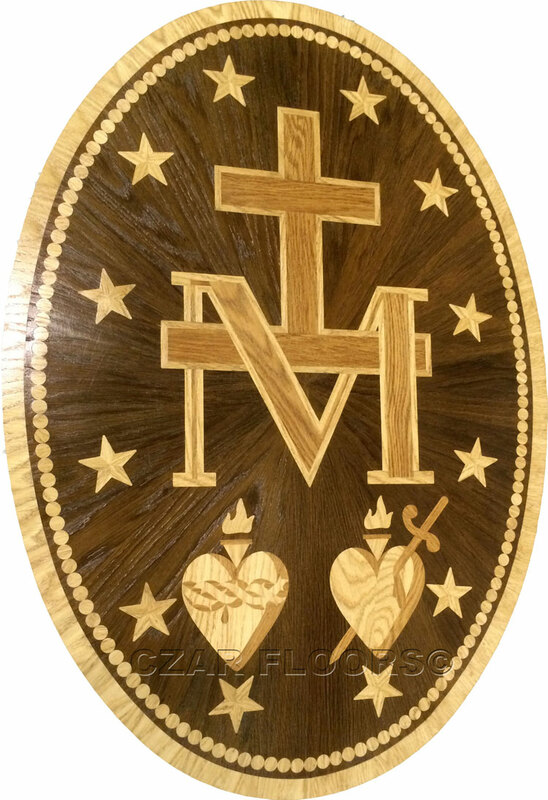 "The Barn medallion arrived Tuesday, It is awesome!! You guys did a great job and it was worth the wait!!" Steve Forbes, Editor-in-Chief of Forbes, a business magazine - wished to have one of his properties renovated with new floors. 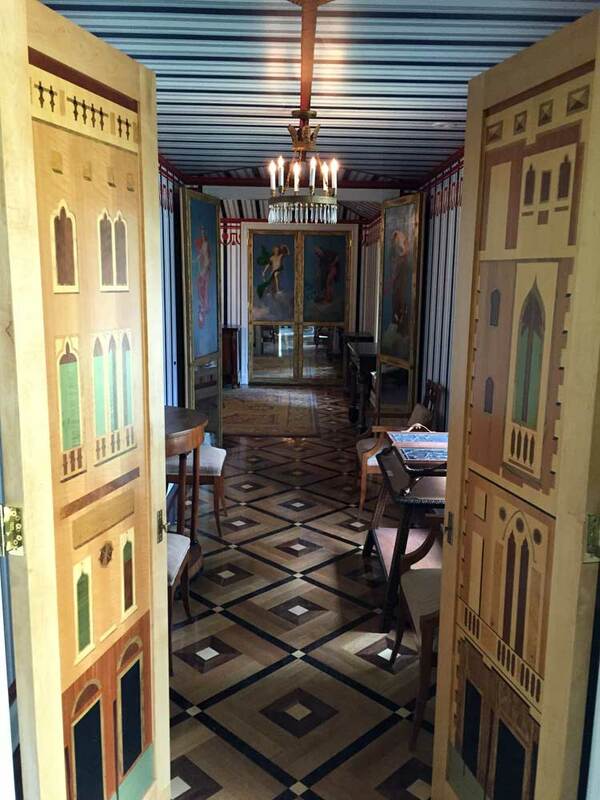 He chose Czar Floors to design and produce unique floors matching the style and theme of the property. A custom project like this involves many steps and iterations. It involves samples and drawings, accurate site measurements and discussions with the client, architects, general contractor and floor installers. 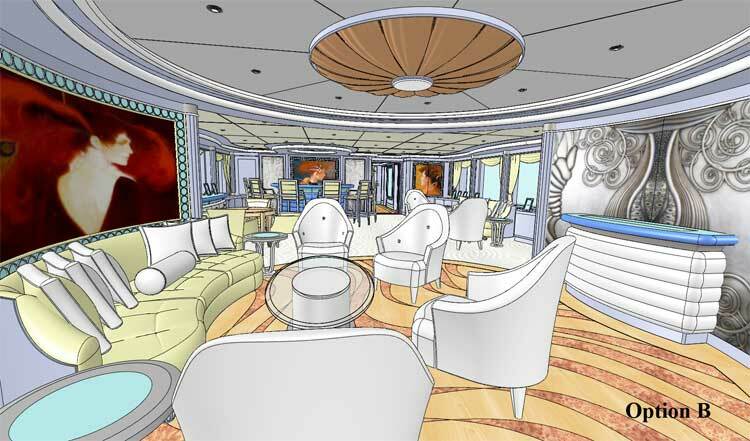 Our designers developed several floor plan renderings for this project. 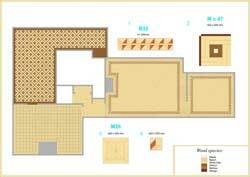 Floor plans demonstrate floor pattern, layout for each room and provides a detailed, enlarged view of floor elements. 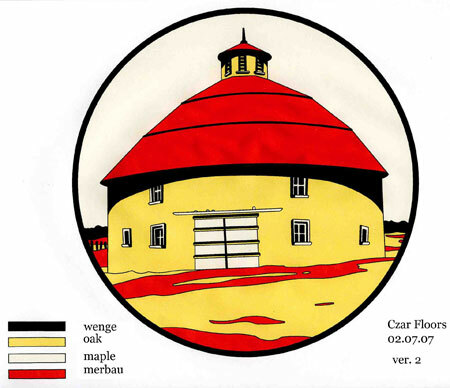 Material maps show which wood is used in each area. This is an example of a typical custom, whole-house design. Mr. Forbes picked his favorite option and we proceeded to production. Clients like Mr. Forbes expect the best quality and execution. 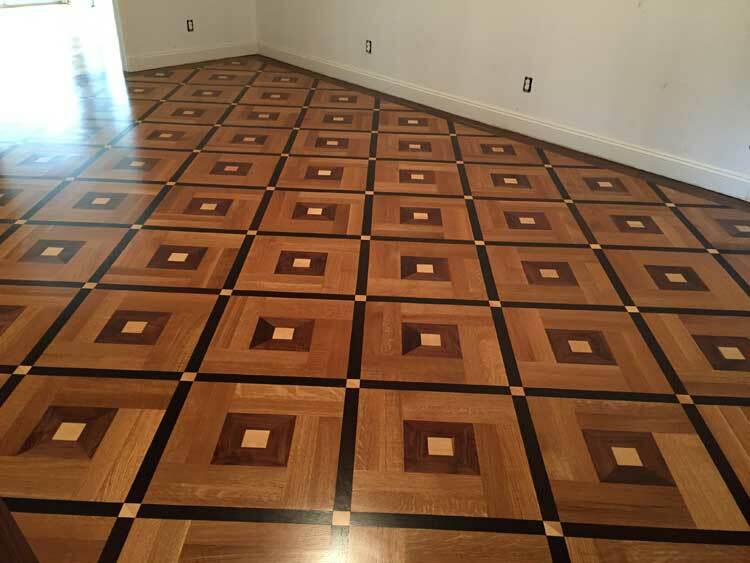 After the floors were produced and installed, Mr. Forbes was pleased with the result. Some projects are more complex than others. 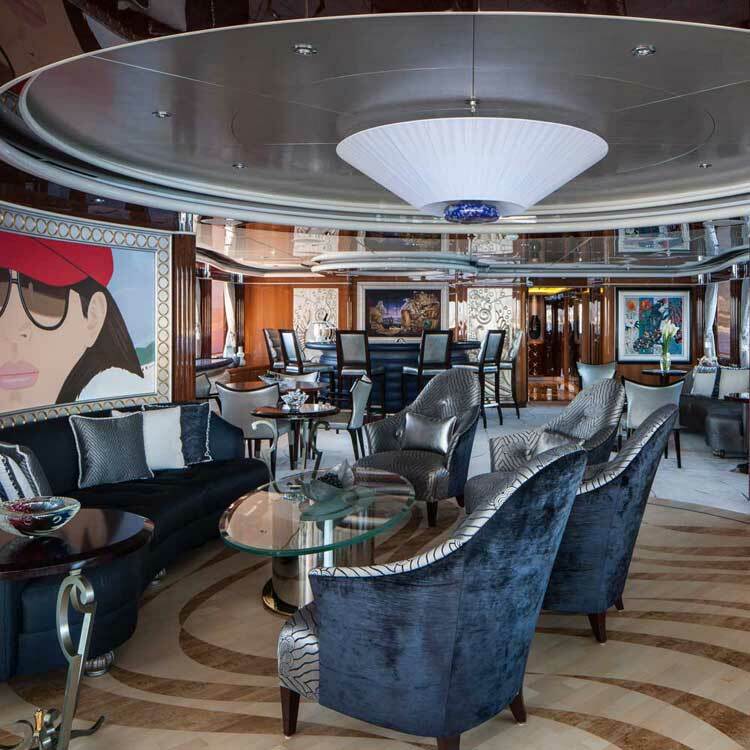 For the 187-foot super yacht "Lady Linda," British designer Evan Marshall envisioned a one-of-a-kind wood floor. 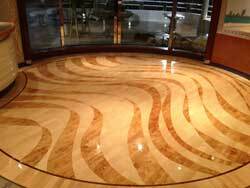 He wanted a modern "Wave" motif on the floor that would compliment the rest of the yacht's furnishings. This project presented many challenges. 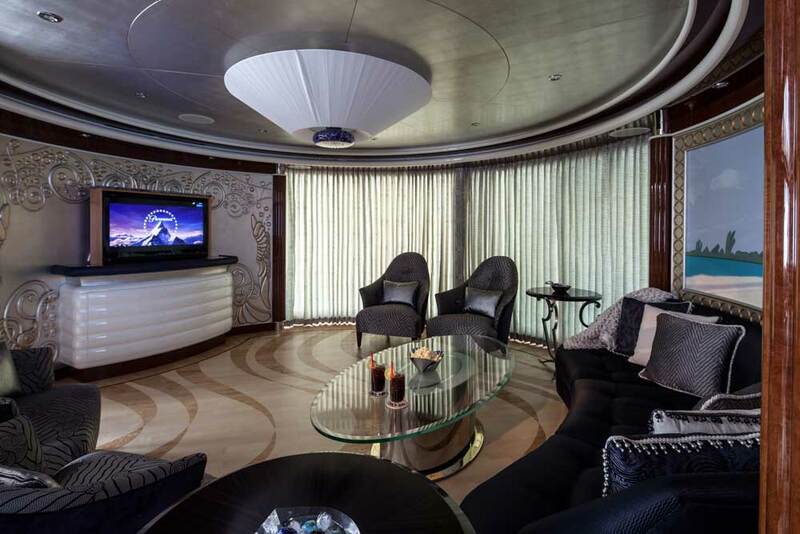 Our goal was to design a custom floor around built-in furniture that could withstand the humidity and vibration. Czar Floors was dispatched to manufacture and install this unique flooring. For the wood combinations, the owner chose a rare Karelian Birch wood and Hard Maple woods. We constructed the entire floor as one giant medallion to fit the shape of the room. 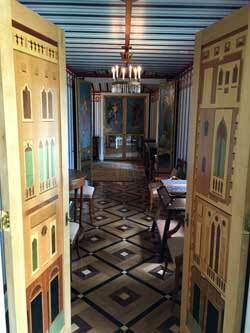 A specific thickness had to be used to transition to an adjacent carpeted room. 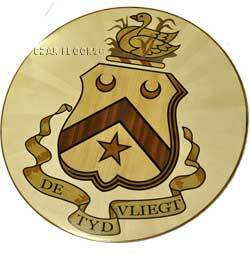 We finished the edges of the medallion with a brass strip to protect against chipping. 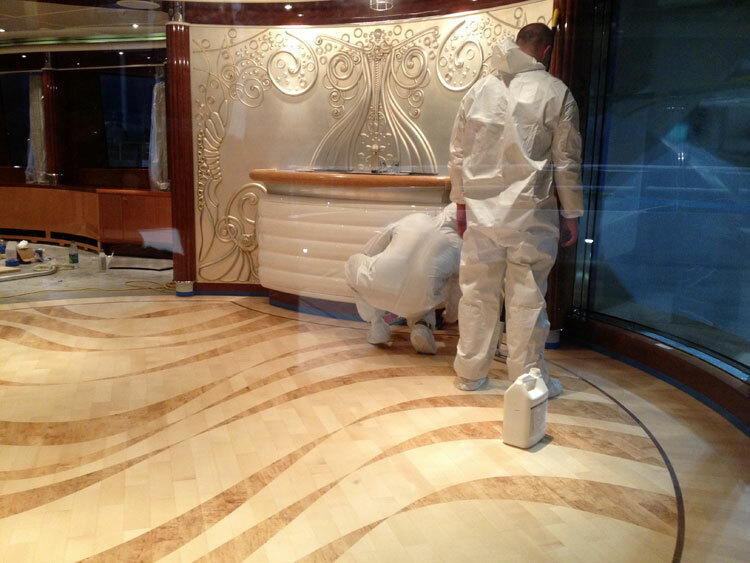 Finally, we mounted the entire floor over an aluminum platform with rubber insulations and springs to dampen the boat's vibrations - the owner wanted his drinks "stirred, not shaken." To samples, technical drawings and installation. 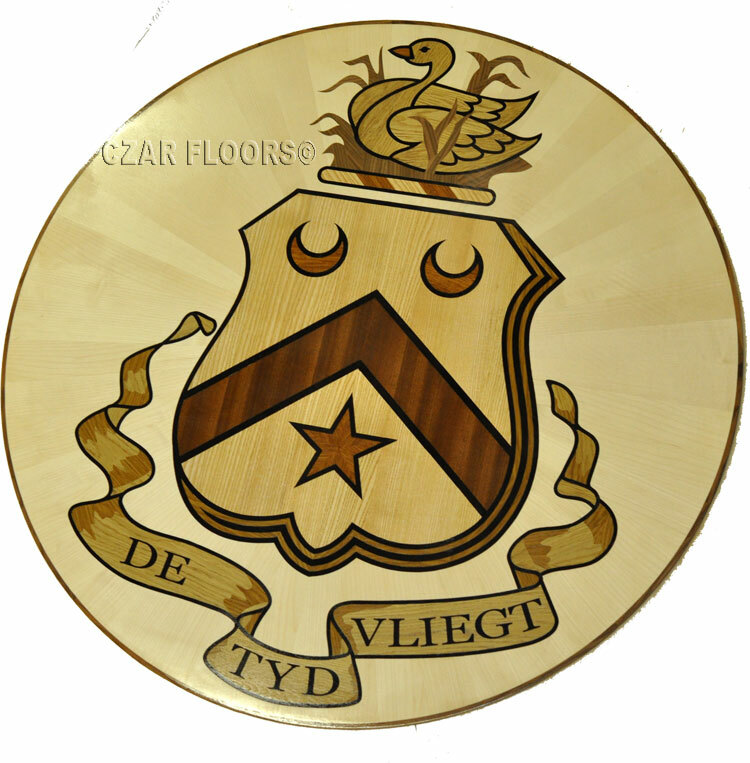 Czar Floors has a lot of experience developing corporate logos and family crests in wood and stone inlays. Custom engraving can add the names of donors in subtle manner if this is a gift. 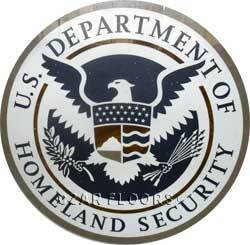 On picture above 6' diameter marble logo for new facility of U.S Department of Homeland Security. It had to be specially constructed to allow for secure wall mounting. 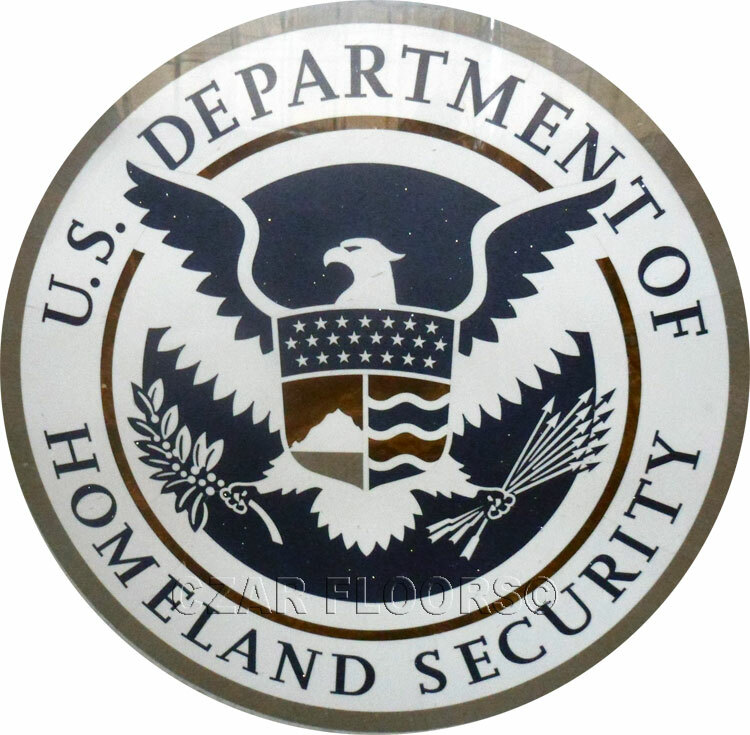 Lightweight aluminum backer had to extend beyond the medallion to be anchored to the wall. Call or Email Today about your next project! Our experts will help you to overcome any design challenges.